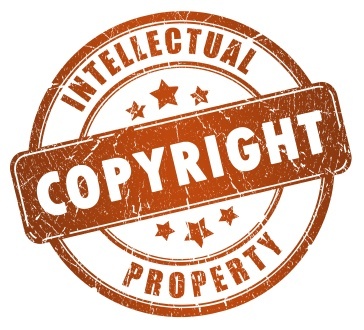 Recording changes in copyright ownership (for example, copyright assignments) at the U.S. Copyright Office (USCO) is a very lengthy process. With a current turnaround time of upwards of eighteen months for standard filings, it is possible that an in-process document, of which you are completely unaware, relates to one of your properties or pending transactions. Since it can be over a year and a half before information about these filings becomes public (via an entry in the USCO online public catalog), any available information about these pending assignments may be helpful in performing due diligence. The Copyright Office maintains an on-site public database called COINS, which is accessible in the Copyright Office Public Records Reading Room. It allows visitors to verify the existence of pending registrations and ownership documents. While the information indexed in the COINS database is limited to the first title (copyrighted work) listed on a filing and the date it was received, the database can be used to verify known filings, track down suspected filings or applications or discover unknown filings related to your properties. It is important to note that COINS does not tell you where a filing is in the recordation/registration process, it simply states whether or not the filing is in process. It can also take 4-6 weeks for a new filing to be entered into the COINS system. You can only search the COINS database by title (for assignments, only the first listed title on a filing) or the date of submission. The latter is a laborious method – the United States Copyright Office accepted roughly 1600 assignments a day last year! If your filing is present in the database, a record like the example below is returned. In addition to providing proof of an in-process filing regarding your target property, this search gleans an important piece of information: the In-Process Number of the pending assignment or application. This number serves as a reference if you would like to speak to a Copyright Office employee about the status of a filing, since the USCO maintains an internal in-process database that contains much more information (including statuses like ‘Not Yet Printed’, ‘Registered’ and ‘Recorded’). The In-Process Number can also be used for searching for a scanned copy of registration certificates or assignment filings in another on-site database, the Copyright Imaging System. This system contains scanned copies of all recordations and registrations received by the Copyright Office after the early 1990s. For filings in the later stages of processing, it may be possible to retrieve scanned copies of in-process documents prior to the filer receiving the recorded certificate from the Copyright Office. This can be extremely helpful for filers waiting for their recorded documents and also for those performing due diligence searches. It can be very frustrating to wait out the lengthy Copyright Office processing time required to register works or record ownership documents and there are a lot of unknowns due to the USCO systems. Searching the in-process database on-site can provide useful information to someone performing due diligence searches and even sometimes lead to copies of documents before they are returned to the filer.